This is The Marta Walsh’s Group February Newsletter. The monthly real estate newsletter is here for February. It’s been a very busy month. The market is busy but the extreme low levels of inventory make it a touch frustrating for buyers. I just wanted to share the following note I received from a dear client. I work tremendously hard to make sure all my clients are happy and it’s so rewarding when they achieve their goals. I am writing you today to let you know that I am thrilled with my new home purchase. You stuck it out and kept going even when I had given up! 19 months later you found me everything I had on my check list. I know I am a guy who will not settle and your tenacity helped me to the finish line. 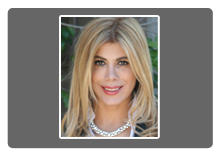 Thanks for finding my dream home and if you ever need to have a potential client call me please do so and I will tell them how professionally you handled finding me the home I have always wanted. Stay cool. Real estate is definitely your passion. I appreciate that. Along with the note was a picture snapped from the home. 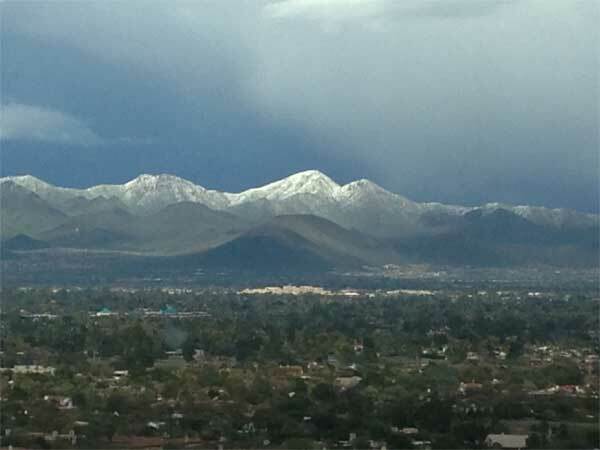 It shows the McDowell mountains covered in snow. Hard not to be inspired by that view! Yesterday the luxury custom estate I had listed at 124th & Shea closed for $1,550,000. It was sold after 58 days on the market. Price achieved was $258 per square foot which was well above comparable sales in the area. Two things I take from that. Firstly, the market is getting stronger and it is finally moving at the luxury end. Secondly, great marketing will bring you more showings and give you a better chance of a fast sale at your target price. Gainey Ranch offers a great lifestyle. With 24 hour security, tennis, swimming, golf, hiking trails, gym and more you can’t help but feel relaxed there. The condo I have for sale gives you access to all that the Gainey Ranch lifestyle has to offer at the affordable price of $219,000. 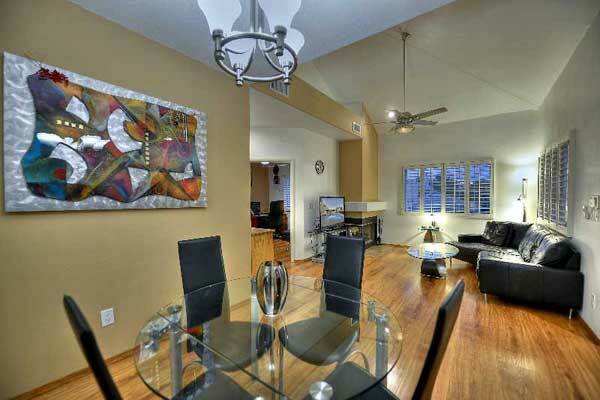 For more details on this 2 bedroom condo in Gainey click here. Not to be merry, but for real estate. Out of state buyers are in town and the weather is getting warm. It’s just a great time of year for real estate in Scottsdale. In 2012 in Gainey Ranch 60% of the sales for the year closed in the 6 months of March to August. During those months there were 41 sales in 2012, and as of today there are exactly 41 active listings. Supply is definitely on the low side. A similar story exists throughout most of the Scottsdale & Paradise Valley real estate market. As always remember real estate is hyper local so if you would like statistics that are specific to your home or a particular area just let me know.